mSpy is one of best applications, which can be installed on the targeting device to monitor a number of activities. Doesn’t matter if you are looking to monitor text messages or browsing history, emails or photos. It can all be done with this very easy to “spy” application. The best feature of any monitoring application should be how well it can hide in plain sight, along with capturing all the activity on the device. Well, mSpy does it all very perfectly and is the reason behind its millions of users around the world. mSpy provides you with a 3 day trial at first. If you find its services useful, you can subscribe to use it. There are different packages, and every package comes with different features. Here we will go through all the features of mSpy that are available in Premium plan. GPS Tracking is one of the most useful features of this application. Using this feature you can track where the target phone is. You can easily see if your child is exactly where he/she is supposed to be, or if your employee is really sick at home. The GPS Tracking feature also allows you to set allowed and forbidden zones. Now, when the target device visits a forbidden zone, you’ll get an email notification about it. mSpy also creates a log of it, so you can also check out the location history of the device. With mSpy, you can see the calling details of the target device. Incoming and outgoing calls, along with the number, time and call duration can be monitored easily. Also, you can block any incoming call, which works just like any call blocker app, but remotely. This feature allows you to track all the sent and received text messages, multimedia messages, and emails from the target device. 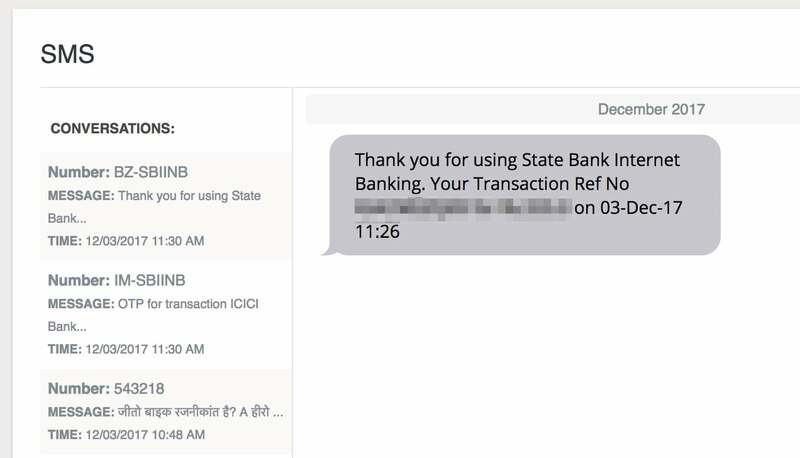 You can see the content of the message, who is the sender/recipient of the message with the timestamp. This is another good feature of mSpy. Using this, you can keep an eye on your child’s internet browsing activity. You can view the browsing history, where you will be able to check when they visited a website. You can also block certain websites, which you don’t find suitable for your child to access. Filtering online content with mSpy is very easy. Also, if you want to allow the target device to access a website for a few hours every day at a specific time, you can do that too. Along with all these internet tracking features, you can track Wi-Fi network connections too. This allows finding the exact coordinates of the device. But, the main use of it is you can see which Wi-Fi network the target device is connected to. And if you don’t want the target device to use that network, you can simply disconnect it remotely. Keyword alerts are one of the latest features added to mSpy very recently. You just need to set up a number of keywords or phrase for an alert. And, whenever that keyword/phrase is used on the target device, whether it used in a text message, web address, email, and messenger or on any application, you will get an alert via email. This is a very useful feature. 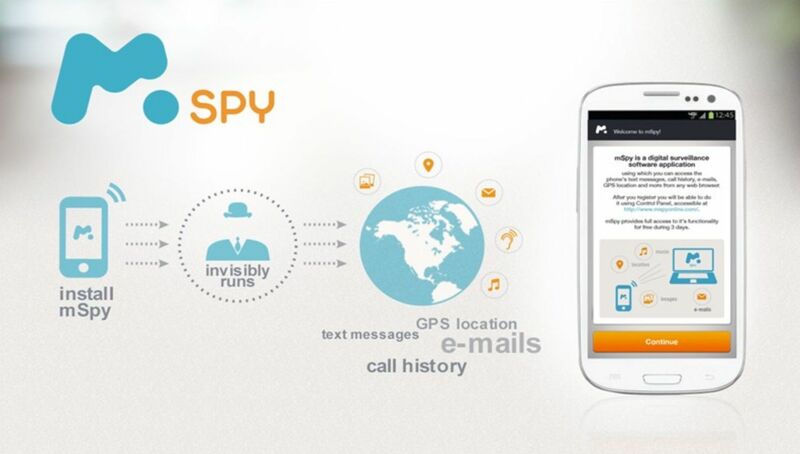 With mSpy you can monitor the contacts of the targeted device very easily. 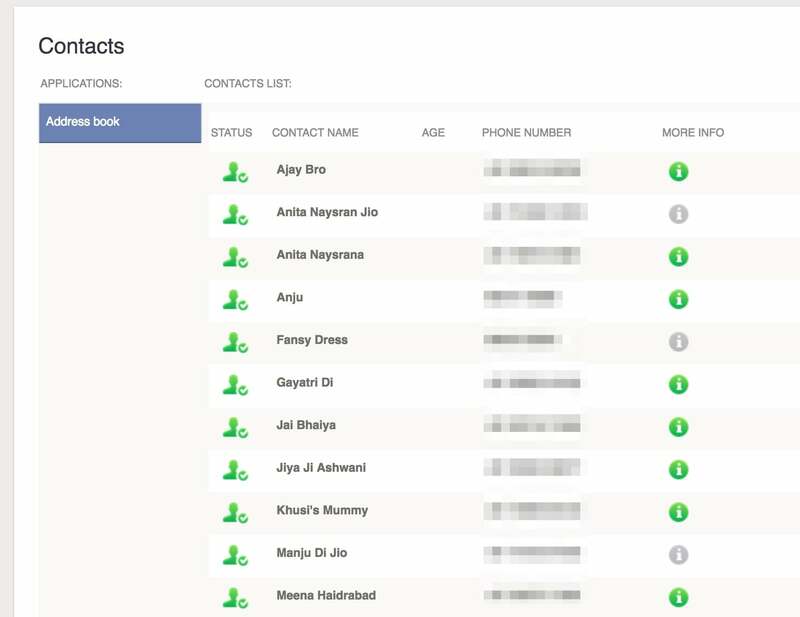 Simply view all the contacts from the control panel. Keeping an eye on Calendar Activities is also pretty easy on mSpy. You can go through the details of appointments and meetings on the targeted device. Now, as we all know there are a number of social network applications used for instant messaging. So, by getting access to text messages is just not enough. Thanks to mSpy, you can read instant messages across different messaging apps. Messages and calls on Skype, WhatsApp, iMessage, Viber, Hangouts, Line, Telegram and other social networks. Also, any multimedia, such as videos, photos, etc. sent through these apps can be tracked easily. If Tinder is installed and/or being used on the targeted device, you can view their profile, matches, Super Likes, along with all the messages. Another popular social networking app is Snapchat, which many kids and adults are addicted to. Through mSpy, you can control the app’s media data on the device. Image and videos shared on the app, along with their exact timing can be accessed. Any file sent on Snapchat can be viewed for only 10 seconds and then it gets deleted automatically. But with mSpy, you will be able to view the content at any time. Note: To access this social media apps, the target device must be rooted. See which application is installed on the targeted device. Many applications are not suitable for kids. With mSpy, you can keep an eye on the applications which are installed on the device. You can block applications as well, remotely. The Keylogger feature lets you see all the words typed on the keyboard of the device. Any text typed on the device can be viewed easily from the control panel. Any images and videos stored, downloaded and transferred on to the targeted device can be viewed easily. Every time an image or a video is taken on the device, it will be uploaded on to your mSpy account automatically. You can then view them from your control panel anytime. Smartphones and tablets get stolen or lost pretty often nowadays. And when it happens, all the important and private data on the device gets on someone’s hands. Using mSpy you can wipeout all the data on the device with one click. Also, you can lock the device and the thief won’t be able to use it. mSpy has many more features, which are very useful for mobile surveillance. Everything can be accessed from the Control Panel, which has a user friendly interface. mSpy is known as one of the best smartphone monitoring application, and it is very easy to use. With mSpy, you can track almost everything which is going on the targeted device. There are some features which require the device to be a rooted one, but a maximum number of features work on any non-rooted device. Disclaimer: Monitoring Applications like mSpy are designed to monitor your employees and children on their computer or phone, which is owned or you have the permission to monitor. mSpy should not be used to track any person’s device, which is not owned or you are not permitted to monitor.